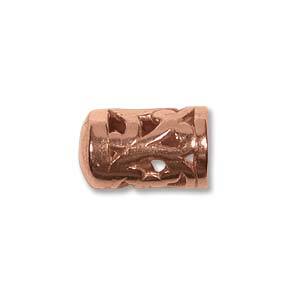 These are the copper findings / end caps and slides used in my classes. 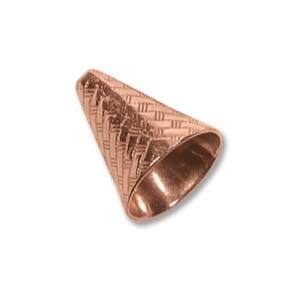 The cone measures 12 x 11 mm; The filigree end caps measure 10mm; The tube slide matches the filigree cap and allow you to add a pendant to your necklace. 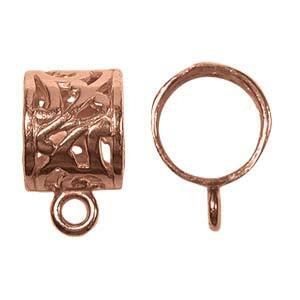 12mm opening should work with size 8 beads or SMALLER. End caps sold in packs of 2: $4 each set. Holly’s Tip: Wire wrap several different focal beads onto their OWN lobster clasp and you will have interchangeable pendants for your kumihimo necklace! Simply attach to the slide with the lobster!